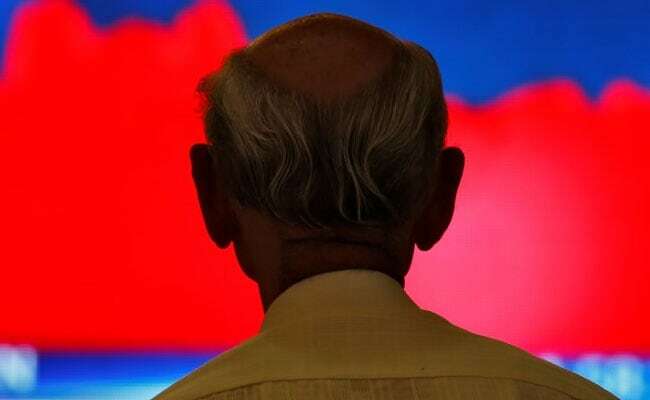 Domestic stock markets closed lower for the third straight session, as caution prevailed ahead of the bi-monthly policy meeting of the Reserve Bank of India (RBI) due next week. The S&P BSE Sensex declined 97.03 points, or 0.27 per cent, to end at 36,227.14 on Friday. The NSE Nifty50 index dropped 47.10 points or 0.43 per cent to settle at 10,930.45. That marked the lowest closing levels recorded for both the indices since July 9. Selling took hold at the start of October futures and options (F&O) series in the derivatives segment as investors were concerned over the surging crude oil prices and escalating trade tensions between the US and China. 1. Twenty out of 30 Sensex stocks finished the session in the red. Prominent losers in the 30-share Sensex pack were Yes Bank (-9.72%), HeroMotoCorp (-5.16%), Bharti Airtel (-5.01%), Tata Steel (-4.85%), Vedanta (-3.60%) and Bajaj Auto (-3.43%). 2. Main laggards on NSE Nifty were Yes Bank (-9.42%), Indiabulls Housing Finance (-9.01%), Hindalco (-6.36%), HeroMotoCorp (-5.66%) and Tata Steel (-5.19%). 3. Private sector lender Yes Bank Ltd was the top percentage loser on both the indices. 4. Concerns on availability of liquidity in the system impacted investor sentiment, said analysts. 5. “Markets opened positive today buoyed by robust US economic growth and dovish comments by US Fed chairman but slipped into the red primarily spooked by liquidity shortfall in money markets,” Viral Berawala, CIO, Essel Mutual Fund, told NDTV. 6. Among other major decliners, e-commerce company Infibeam Avenues closed 71 per cent lower on the NSE. 7. Both the indices recorded their fourth straight weekly fall. 8. The Sensex lost 614.46 points, or 1.67 per cent, and the Nifty dropped 212.65 points, or 1.91 per cent, for the week. 9. The equity markets have been under pressure after concerns over bad debt in non-banking financial companies triggered a broad selloff, reported news agency Reuters. 10. The Nifty fell 6.42 per cent in September while BSE index lost 6.26 per cent – their worst monthly performance since February 2016.